Above: Canyon Point offers hot showers and electric hookups. Boating and fishing is available at many areas along the rim, the closest being Willow Springs 5 miles west and Woods Canyon 10 miles west. 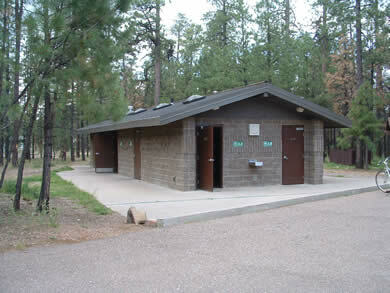 Trails lead to sinkhole and the edge of the Mogollon Rim above the Canyon Creek Fish Hatchery. 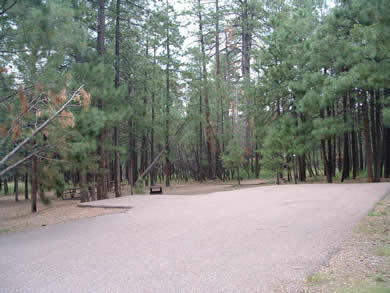 Campsite Panoramas - See each campsite at Canyon Point Campground. 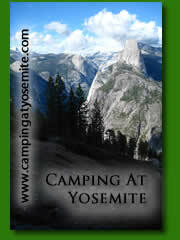 Click a campsite number below to view a 360 degree panorama of that campsite. From Heber travel 19 miles west on S.R. 260 to the camp entrance on the left. From the Visitors Center travel 4.5 miles east on S.R. 260 to the camp entrance on the right.